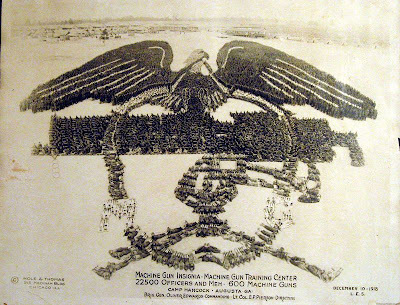 18,000 officers and men at Camp Dodge, Des Moines, Ia. 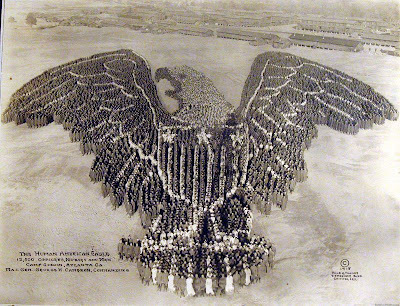 12,500 officers, nurses and men; Camp Gordon, Atlanta. 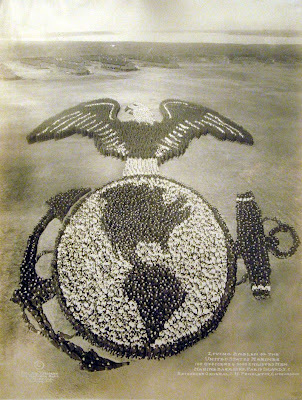 19,000 officers and men, Camp Lee, VA.
22,500 officers and men, 600 machine guns at Machine Gun Training Center, Camp Hancock, Augusta, Ga.
100 officers and 9,000 enlisted men, Marine Barracks, Paris Islands, S.C.
9. 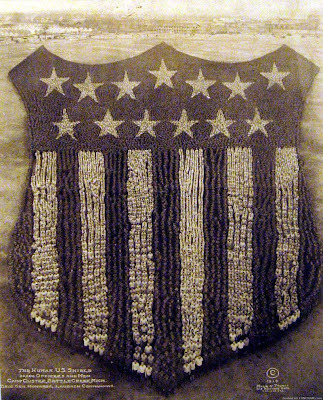 Living Insignia of the 27th Division "New York's Own"
10,000 officers and enlisted men, Breakers of the Hinderburg Line. 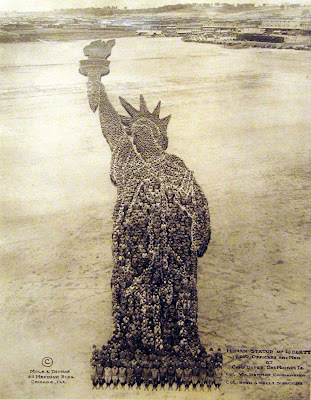 During World War I, photographers Arthur S. Mole and John D. Thomas traveled from one military camp to another taking photos of soldiers forming patriotic symbols as a part of planned promotional campaign to sell war bonds. 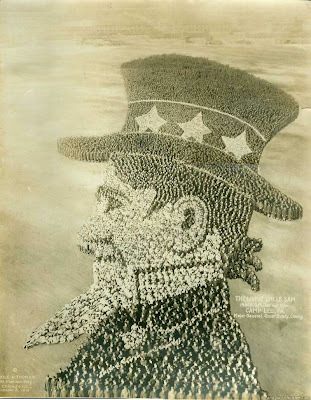 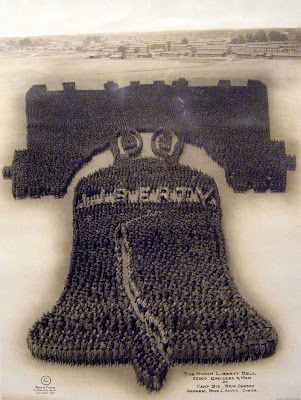 Thousands soldiers would form gigantic patriotic symbols such as Statue of Liberty, president Woodrow Wilson, American Eagle or Liberty Bell which were photographed from above. 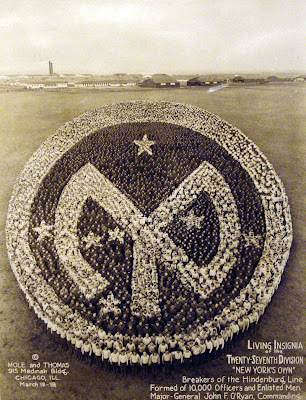 Mole and Thomas spent days preparing formations which were photographed from a 70 to 80 foot tower with an 11 by 14 inch camera. 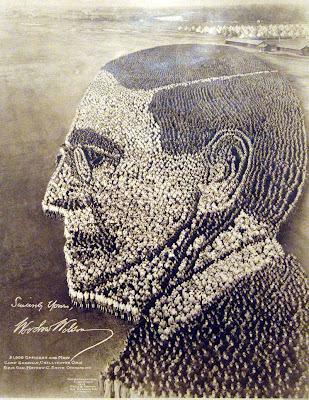 Photos by Mole and Thomas are now part of the Chicago Historical Society, the Museum of Modern Art and the Library of Congress.